Once we got home, we settled into a new routine. We continued to put Cinny into the cage to sleep, and found that she settled more quickly and slept for longer in it. Feeling that she had benefited from the mental stimulation of the trip to Chamonix, we took her for special Small Brown Dog walks when the weather was good. We also took to feeding the three dogs separately, to avoid further conflicts with Cookie. I could see there were times when Cookie struggled to contain herself if Cinnamon bumbled into her, so the best thing for both dogs was to keep them separate as much as possible. Rosie, on the other hand, is incredibly placid, so we considered her a safe companion for a blind, elderly, senile, Small Brown Dog. Cinny’s tongue healed, but remained crooked in her mouth. We fed her very wet, sloppy meals, which she ate really well, but we were still concerned that she wasn’t able to drink properly. For the first week, I continued to syringe water into her mouth, but after that we just gave her watered down milk a couple of times a day, which she lapped up happily. On the advice of a veterinary friend, I took to giving her a tiny dose of paracetamol every day for general aches and pain, and we gave her a dose of Kalm Aid every morning and evening to help her relax. She was still lost and confused at times but, for the most part, she was content; eating well, sleeping well, and enjoying her little walks. Everything was stable once again. Aideen went from London to Nepal to do some long-planned charity work at the start of November and would be coming to us on her return. Was it possible that Cinny would still be with around to see her ‘Mom’ one more time? It was looking more and more likely… but first, I had a trip to Ireland to visit my own Mom. While I was in Ireland, it happened. A third panic attack. This time, surprisingly, it was caused by Rosie. We have no idea what happened, but both dogs were in the laundry room downstairs, while the LSH was making a coffee upstairs. Mealtime was well past; they had all had been out and had had a good wander around the garden. Cinny and Rosie were expected to snooze the morning away, as usual. The only sound the LSH heard was a soft bark from Rosie. Then Cinny started screaming and he could hear her crashing around the room as he tore down the stairs. She was in full-on panic mode, the worst yet. Nothing calmed her this time. He ended up phoning me to see if I could think of anything – I could hear poor Cinnamon screaming on the other end of the phone. The only suggestion I could come up with was to put her in the car. Maybe she would be distracted if she thought she was going somewhere? We hung up. There was nothing I could do. The panic attack lasted almost an hour. 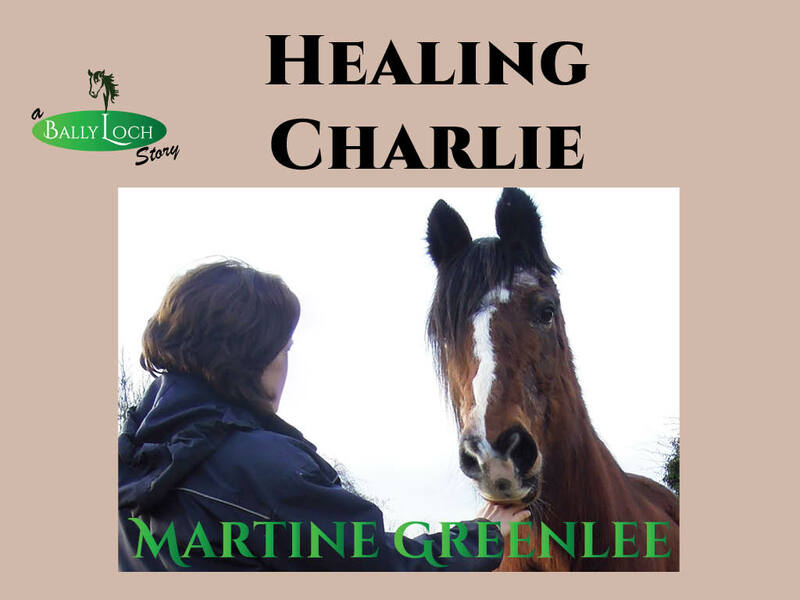 An hour of terror and trauma for a much-loved pet; an hour of helplessness and worry for the LSH. Later that evening, we spoke again. We couldn’t allow this to happen again, we agreed. We had reached a stage where we could no longer keep our Small Brown Dog safe. Given her tendency to get stuck in corners, behind the washing machine or fridge and even underneath the car (I didn’t mention that before – she practically wound herself around the axle of the Fiat one day) her days would have to be spent in the cage if we wanted to keep her out of harm’s way. That’s no life for any animal. We would make an appointment to have her put to sleep when I returned to Provence. I got home late on Friday the 11th. In the space of the week I’d been away, Cinnamon had weakened visibly. She struggled to get out of her bed and was wobbly on her back legs. There was no doubt that we’d made the correct decision. We spoiled her for the whole weekend. Lots of treats, cuddles and teeny walks. I made the phone call on Monday morning, calm and collected. No shaky voice, no blanks in my French vocabulary, no tears at the edge of my eyes. The receptionist offered me an appointment at 11.30 the following morning. Part of my brain screamed “No, not yet, that’s too soon!” but the rest of it knew the truth. It was time. Tuesday morning came and went too fast. Cinnamon was in top form. Toddling around the garden. Following me at top speed (and paying the price by tumbling over a hole Rosie had dug). Snapping treats out of my hand. Giving me a little kiss when I picked her up for a cuddle. I alternated between thinking “What a lovely last morning she’s having” and “She’s not ready to go yet.” But every time I thought of the torment she suffered with her panic attacks, I knew it was time. I cuddled her on my knee all the way into Apt. The staff at the Veterinary Hospital were understanding and kind. Cinny slipped off to sleep with us both caressing her. Once she was asleep, the vet gave her a second, lethal dose of anaesthetic. My fingers were over her heart and I felt the last few beats. Then she was gone. But what a life she’d had, our Small Brown Dog. Full of adventures, full of fun, full of love. Her very first adventure was a trip to a horseshow in a wicker basket along with her two brothers at the age of eight weeks. Her mum’s owner, a showjumping judge, figured that she’d be bound to find homes for puppies at an event packed with children and animal lovers. She was right. She went home with an empty basket, and we went home with a tiny brown puppy that somehow smelled of cinnamon. In between that first adventure and her final trip to Apt, Cinnamon learned to sing along with mobile phone ringtones, bark at the postman (and other visitors) and sleep in the still-warm rugs taken off stabled horses. …and older people with broken wrists. and a regular Skype user. …which was definitely a good thing, as she fell into the swimming pool in Cereste twice, just before we moved out. and of course she perfected the Hypnodog stare. She has left a deep, gaping Cinnamon-sized hole in our lives and tiny paw prints all over our hearts. I probably have a thousand photos of Cinny, but I must thank Stephen, Bob and George for their photos which I have included here. Huge thanks also to our kind vets in Apt – Bassine, Pfister & Gibier, and all their staff. Sad 😦 I actually had a Brown Dog of my own. She had many adventures too.. and after one adventure too many passed away in June. She seems to be missing Cinny which surprises me; they were not the best of friends. But then my animals always surprise me. I am so very sorry for your loss. What a very special small brown dog. Hugs to you; its so hard to lose our companions. Small dogs are often the mightiest. Poor Cinnamon and poor you…. we get so attached …. hugs going your way. Beautifully written. Sorry for your loss. Lovely video memorial…brought tears to,our eyes.